Tactical Reviews is funded entirely out of my own pocket. There are many costs which include photographic equipment, technical testing equipment, hosting fees, location costs, travel and accommodation for exhibitions plus much more. Apart from the actual financial costs, these reviews have a significant cost in time as well. Each review I complete has approximately 24 working hours of my time in it. This includes, studio photography, technical testing, actual use (plus in-use photography), photo editing, copywriting, content formatting, uploading and publishing. 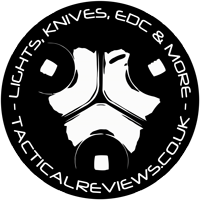 If you enjoy reading the reviews and would like to help support Tactical Reviews and its ongoing development, please consider giving a donation via PayPal. Any and all donations are gratefully received and genuinely will make a difference.